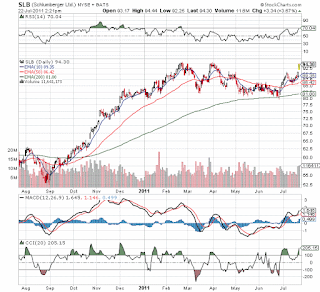 Schlumberger (SLB) reported growing international demand (finally!) 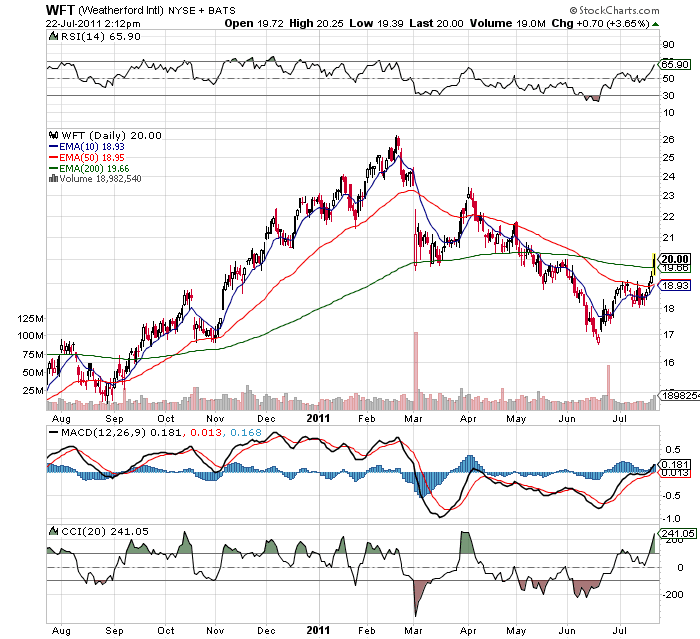 this morning on the Q2 earnings report suggesting that Weatherford (WFT) will have good results as well. 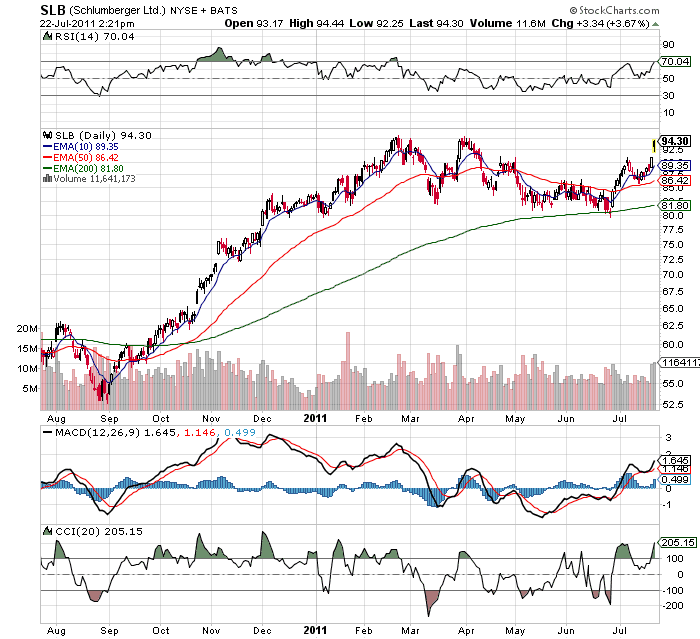 Naturally WFT isn't as good of an operator as SLB so it could still surprise the market. WFT gets over 60% of its revenue from outside the US so it only benefits to a minor degree on the huge increase in US land drilling. It has also had problems this year with accounting issues and hence the stock price was recently approaching 52 week lows while big brother SLB and Haliburton (HAL) hit highs. Interesting to see bullish comments about deepwater markets, Egypt, and Bahrain. Also, noteworthy is that oil producers are ramping up production in other areas to make up for the lost production in Libya. 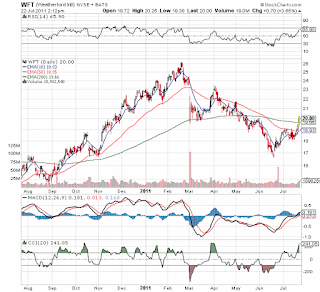 All the news points to significant gains by WFT if they can turn it around. Looking at the charts below, it has a lot of catching up to get back to where SLB has gone this year. Income from continuing operations attributable to Schlumberger, excluding charges, was $1.18 billion—an increase of 22% sequentially and 45% year-on-year. Diluted earnings-per-share from continuing operations, excluding charges, was $0.87 versus $0.71 in the previous quarter, and $0.68 in the second quarter of 2010. Oilfield Services revenue of $8.99 billion increased 11% sequentially and 51% year-on-year. Pretax segment operating income of $1.75 billion was up 20% sequentially and 56% year-on-year. Second-quarter results showed strong growth worldwide. All Product Groups grew at double-digit rates. In North America, a prolonged Canadian spring break-up and poor weather in the northwest were offset by very strong growth in the rest of US land and a significant contribution from deepwater operations as the rig count increased and renewed interest in exploration activity in the Gulf of Mexico led to high multiclient seismic data sales. Internationally, the trend towards higher deepwater rig count, and higher exploration spending continued. This activity was coupled with a surge in development and workover activity as producers moved to compensate for reduced Libya barrels and to profit from higher prices. 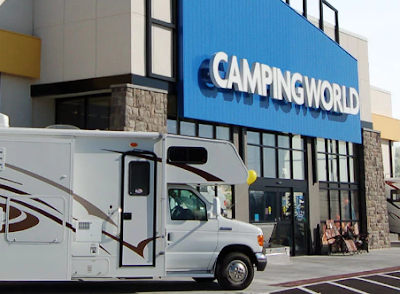 As a result, all Groups had standout product lines in the quarter and technology sales showed good progress. Strong advances were made in all Technologies linked to deepwater exploration and complex development drilling including WesternGeco, Drilling & Measurements, M-I SWACO, and openhole Wireline and Testing services. The Drilling Group continued to record strong synergistic revenue with the legacy Smith Bits and Drilling Tool businesses in many areas of the world. At Reservoir Production, in addition to the strong North American stimulation market, high growth rates were experienced internationally as operators moved to improve production and to test unconventional gas plays in several markets. Disclosure: Long WFT in client and personal accounts. Please review the disclaimer page for more details.